A&A provided all engineering and surveying services required for developing roadway and bridge plans including bridge hydraulics and geotechnical services, topographic surveys, title research reports and property surveys, base and final right of way maps, and title updates for approximately 3.75 miles for a 4 lane divided highway with depressed median on I-49. 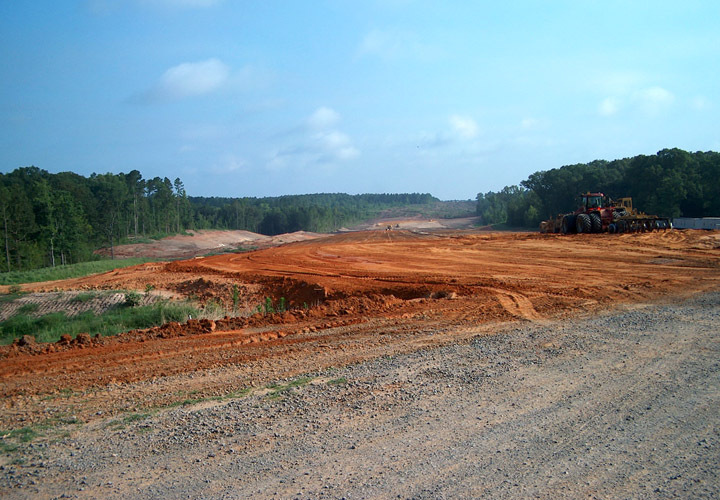 There were also 2 bridge locations which required realignment. 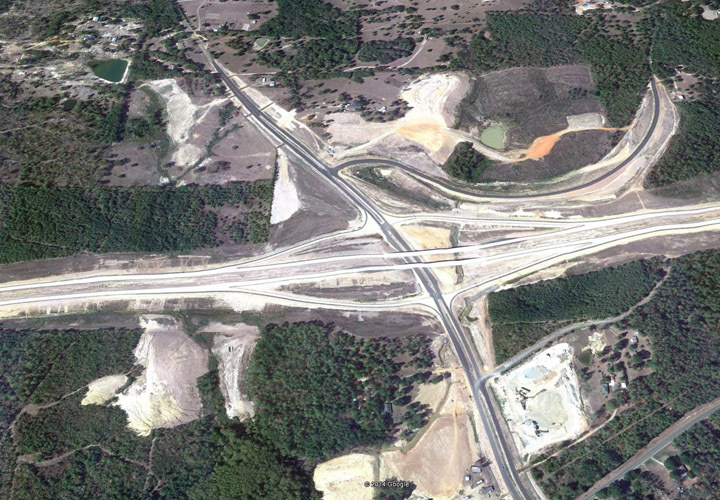 Design of an overpass and an interchange with I-49 over LA 769 was also done as was realignment and a drainage map of the entire area. 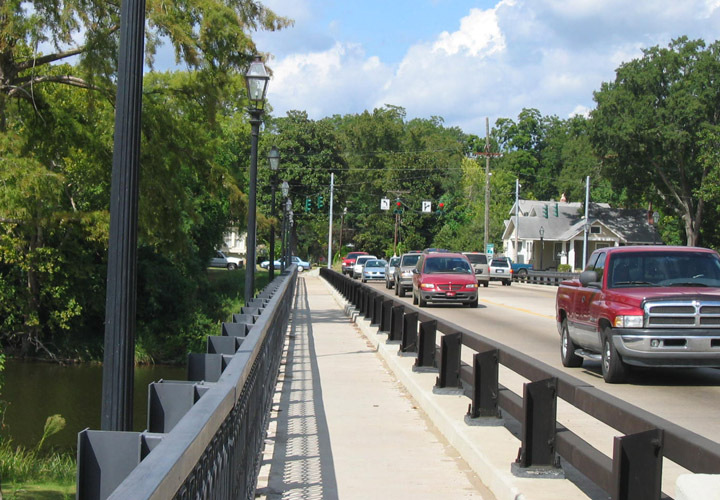 Cane River Bridge was a Louisiana Department of Transportation and Development project awarded to Aucoin & Associates, Inc. to replace the existing bridge located in Natchitoches, Louisiana with a three lane 6 @ 75 foot Type III Girder Span Bridge with a clear roadway width of 52 feet and two 5 foot wide sidewalks. 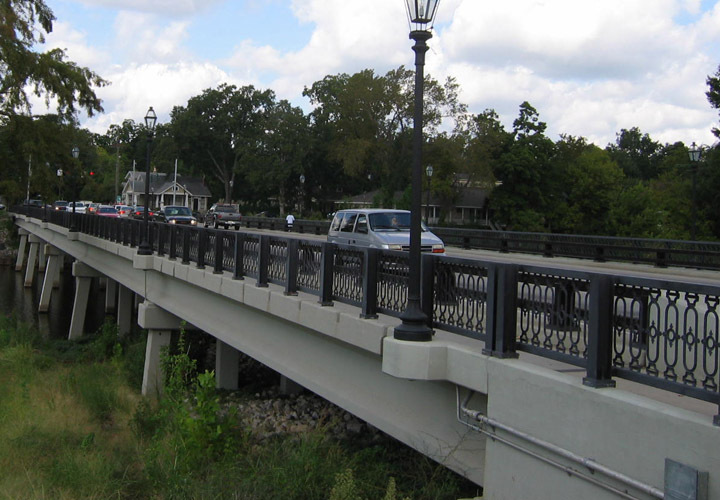 The structural design includes lighting supports for lighting of the bridge and roadway, ornamental iron lacework rails and has Antique Colonial street lamps.